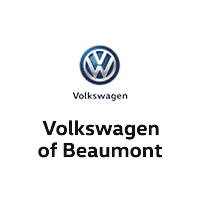 Volkswagen of Beaumont invites you to search our fantastic stock of used cars, trucks, and SUVs for sale near me in Beaumont, TX. Our customer service specialists are standing by to help you find the next car of your dreams. Don’t forget to ask about our used car financing program. From perfect credit to low credit, VW Beaumont will work hard to get you the used car financing you need. View our inventory online, stop by for a test drive, or call (866) 799-0757 today. We are excited to offer this 2013 Volkswagen Jetta Sedan. Outstanding fuel economy and sleek styling are two great reasons to consider this Volkswagen Jetta Sedan. You can finally stop searching... You've found the one you've been looking for. The Volkswagen Jetta Sedan TDI will provide you with everything you have always wanted in a car -- Quality, Reliability, and Character. More information about the 2013 Volkswagen Jetta Sedan: In 2011, Volkswagen revised the Jetta's packaging to better compete with the Honda Civic, Mazda3 and Toyota Corolla. Previously, price kept it just out of reach of potential buyers of the competition, but with an attractive redesign, Volkswagen also reconsidered options packaging and the Jetta's price level. They've done so again for 2013 and now buyers can get a premium German sedan at an entry-level price, with fit and finish similar to that on cars that cost two and three times as much. Strengths of this model include fuel economy on TDI hybrid models, Affordability, excellent fit and finish, and good handling and braking We look forward to seeing you soon! Please call us for more information. We are excited to offer this 2013 Volkswagen Jetta SportWagen. Everyone hates the gas pump. Skip a few gas stations with this super fuel efficient VolkswagenJetta SportWagen. Exceptional in every sense of the word, this incredibly low mileage vehicle is one of a kind. Driven by many, but adored by more, the Volkswagen Jetta SportWagen TDI is a perfect addition to any home. More information about the 2013 Volkswagen Jetta SportWagen: The 2013 Volkswagen Jetta Sportwagen is one of relatively few wagon models that make an attempt to be rugged or SUV-like. That means it drives every bit like a Jetta Sedan, and has easier loading and a lower cargo floor than any crossover alternative. The Sportwagen also stands out for its superb ride quality as well as nice handling and maneuverability--with a turning radius of 35.8 feet. That's all in addition to what truly makes this model special in the market: With the available TDI diesel engine, the Jetta Sportwagen can accelerate strongly, yet gets up to 42 mpg on the highway, without hybrid technology. Strengths of this model include versatile interior layout, responsive handling, good maneuverability, loading ease compared to utility vehicles, High-mpg TDI engine, refined interior, and comfortable seating and ride We look forward to seeing you soon! Please call us for more information. We are excited to offer this 2013 Volkswagen Jetta SportWagen. When it comes to high fuel economy, plenty of versatility and a great looks, this VolkswagenJetta SportWagen TDI cannot be beat. This Volkswagen Jetta SportWagen's superior fuel-efficiency is proof that not all vehicles are created equal. The Jetta SportWagen TDI has been lightly driven and there is little to no wear and tear on this vehicle. The care taken on this gently used vehicle is reflective of the 40,082mi put on this Volkswagen. Based on the superb condition of this vehicle, along with the options and color, this Volkswagen Jetta SportWagen TDI is sure to sell fast. More information about the 2013 Volkswagen Jetta SportWagen: The 2013 Volkswagen Jetta Sportwagen is one of relatively few wagon models that make an attempt to be rugged or SUV-like. That means it drives every bit like a Jetta Sedan, and has easier loading and a lower cargo floor than any crossover alternative. The Sportwagen also stands out for its superb ride quality as well as nice handling and maneuverability--with a turning radius of 35.8 feet. That's all in addition to what truly makes this model special in the market: With the available TDI diesel engine, the Jetta Sportwagen can accelerate strongly, yet gets up to 42 mpg on the highway, without hybrid technology. Interesting features of this model are versatile interior layout, responsive handling, good maneuverability, loading ease compared to utility vehicles, High-mpg TDI engine, refined interior, and comfortable seating and ride We look forward to seeing you soon! Please call us for more information. We are excited to offer this 2014 Volkswagen Jetta SportWagen. The Volkswagen Jetta SportWagen TDI speaks volumes about it's driver, uncompromising individuality, passion for driving, and standards far above the ordinary. It's exceptional fuel-efficiency is a clear sign that not all vehicles are created with the same standards. You can tell this 2014 Volkswagen Jetta SportWagen has been pampered by the fact that it has less than 60,021mi and appears with a showroom shine. There is no reason why you shouldn't buy this Volkswagen Jetta SportWagen TDI. It is incomparable for the price and quality. More information about the 2014 Volkswagen Jetta SportWagen: The 2014 Jetta competes with the Honda Civic, Mazda3 and Toyota Corolla. Previously, price kept it just out of reach of potential buyers of the competition, but since 2011, Volkswagen has worked to give buyers the best of all worlds-- carefully packaging features and tweaking the Jetta's price level. This means that buyers can get a premium German sedan or wagon at an entry-level price, with fit and finish similar to that on cars that cost two and three times as much. Interesting features of this model are fuel economy on TDI hybrid models, Affordability, excellent fit and finish, good handling and braking, and available in two body styles. We look forward to seeing you soon! Please call us for more information. We are excited to offer this 2012 Volkswagen Golf. Start enjoying more time in your new ride and less time at the gas station with this 2012 Volkswagen Golf. The incredibly low mileage and painstaking upkeep on this Volkswagen Golf makes it a once-in-a-lifetime deal that won't last long! Call us today to reserve your test drive! You could keep looking, but why? You've found the perfect vehicle right here. More information about the 2012 Volkswagen Golf: While the Volkswagen Golf costs a bit more than many rival models, it also feels more sophisticated and refined in general. Especially in TDI form, it gets the gas mileage of a hybrid with an eager, responsive driving feel that you won't find in any of the popular hybrids. The Golf TDI's gas mileage of up to 42 mpg also enables a driving range of 600 miles or more. In addition, the Golf remains a high-value choice for those who live in tight urban areas and need a car that maneuvers well and parks easily but also comes with more equipment--and a more upscale feel, overall--than many other efficiency-minded small cars. Strengths of this model include Impressive TDI fuel economy, easy to maneuver and park, quick, responsive driving feel, upscale interior look and feel, and hatchback versatility and space-efficiency We look forward to seeing you soon! Please call us for more information. We are excited to offer this 2014 Volkswagen Jetta SportWagen. Everyone hates the gas pump. Skip a few gas stations with this super fuel efficient VolkswagenJetta SportWagen. In addition to being well-cared for, this Volkswagen Jetta SportWagen has very low mileage making it a rare find. You can finally stop searching... You've found the one you've been looking for. More information about the 2014 Volkswagen Jetta SportWagen: The 2014 Jetta competes with the Honda Civic, Mazda3 and Toyota Corolla. Previously, price kept it just out of reach of potential buyers of the competition, but since 2011, Volkswagen has worked to give buyers the best of all worlds-- carefully packaging features and tweaking the Jetta's price level. This means that buyers can get a premium German sedan or wagon at an entry-level price, with fit and finish similar to that on cars that cost two and three times as much. This model sets itself apart with fuel economy on TDI hybrid models, Affordability, excellent fit and finish, good handling and braking, and available in two body styles. We look forward to seeing you soon! Please call us for more information. We are excited to offer this 2014 Volkswagen Jetta Sedan. Drive home in your new pre-owned vehicle with the knowledge you're fully backed by the CARFAX Buyback Guarantee. The Volkswagen Jetta Sedan Hybrid SEL speaks volumes about it's driver, uncompromising individuality, passion for driving, and standards far above the ordinary. It's exceptional fuel-efficiency is a clear sign that not all vehicles are created with the same standards. The incredibly low mileage and painstaking upkeep on this Volkswagen Jetta Sedan makes it a once-in-a-lifetime deal that won't last long! Call us today to reserve your test drive! More information about the 2014 Volkswagen Jetta Sedan: The 2014 Jetta competes with the Honda Civic, Mazda3 and Toyota Corolla. Previously, price kept it just out of reach of potential buyers of the competition, but since 2011, Volkswagen has worked to give buyers the best of all worlds-- carefully packaging features and tweaking the Jetta's price level. This means that buyers can get a premium German sedan or wagon at an entry-level price, with fit and finish similar to that on cars that cost two and three times as much. This model sets itself apart with Affordability, fuel economy on TDI hybrid models, good handling and braking, excellent fit and finish, and available in two body styles. We look forward to seeing you soon! Please call us for more information. We are excited to offer this 2013 Volkswagen Golf. Outstanding fuel economy and sleek styling are two great reasons to consider this Volkswagen Golf. The Golf TDI is well maintained and has just 50,416mi. This low amount of miles makes this vehicle incomparable to the competition. Based on the superb condition of this vehicle, along with the options and color, this Volkswagen Golf TDI is sure to sell fast. More information about the 2013 Volkswagen Golf: While the Volkswagen Golf costs a bit more than many rival models, it also feels more sophisticated and refined in general. Especially in TDI form, where it gets the gas mileage of a hybrid with an eager, responsive driving feel that they can't match. The Golf TDI's gas mileage of up to 42 mpg also enables a driving range of 600 miles or more. In addition, the Golf remains a high-value choice for those who live in tight urban areas and need a car that maneuvers well and parks easily but also comes with more equipment--and a more upscale feel, overall--than many other efficiency-minded small cars. Strengths of this model include quick, responsive driving feel, upscale interior look and feel, easy to maneuver, hatchback versatility and space-efficiency, and Impressive fuel economy in the TDI We look forward to seeing you soon! Please call us for more information. We are excited to offer this 2014 Volkswagen Jetta Sedan. Outstanding fuel economy and sleek styling are two great reasons to consider this Volkswagen Jetta Sedan. It's not often you find just the vehicle you are looking for AND with low mileage. This is your chance to take home a gently used and barely driven Volkswagen Jetta Sedan. The quintessential Volkswagen -- This Volkswagen Jetta Sedan TDI speaks volumes about its owner, about uncompromising individuality, a passion for driving and standards far above the ordinary. More information about the 2014 Volkswagen Jetta Sedan: The 2014 Jetta competes with the Honda Civic, Mazda3 and Toyota Corolla. Previously, price kept it just out of reach of potential buyers of the competition, but since 2011, Volkswagen has worked to give buyers the best of all worlds-- carefully packaging features and tweaking the Jetta's price level. This means that buyers can get a premium German sedan or wagon at an entry-level price, with fit and finish similar to that on cars that cost two and three times as much. Strengths of this model include Affordability, fuel economy on TDI hybrid models, good handling and braking, excellent fit and finish, and available in two body styles. We look forward to seeing you soon! Please call us for more information. We are excited to offer this 2011 Volkswagen Golf. This 2011 Volkswagen Golf has great acceleration and wonderful styling without sacrificing exceptional fuel economy. This low mileage Volkswagen Golf has barely been touched. It's the next best thing to buying new. This is the one. Just what you've been looking for. More information about the 2011 Volkswagen Golf: The popular Golf hatchback was completely redesigned in 2010. For 2011, it again packs a load of standard features in a pleasing cabin. Despite its small size, the Golf is able to swallow passengers with ease and with the rear seats folded flat, it can also take lots of gear. The TDI offers an impressive EPA estimated 30 mpg in the city, 42 mpg on the highway. This model sets itself apart with Convenient hatchback design, nimble handling, quality interior materials, pocket-rocket performance in the GTI, and excellent fuel efficiency in the TDI We look forward to seeing you soon! Please call us for more information. We are excited to offer this 2013 Volkswagen Golf. The less money you spend at the pump, the more money you'll have to spend on you. So why not consider this wonderfully styled, fuel-efficient Volkswagen Golf. A Volkswagen with as few miles as this one is a rare find. This Golf TDI was gently driven and it shows. You've found the one you've been looking for. Your dream car. More information about the 2013 Volkswagen Golf: While the Volkswagen Golf costs a bit more than many rival models, it also feels more sophisticated and refined in general. Especially in TDI form, where it gets the gas mileage of a hybrid with an eager, responsive driving feel that they can't match. The Golf TDI's gas mileage of up to 42 mpg also enables a driving range of 600 miles or more. In addition, the Golf remains a high-value choice for those who live in tight urban areas and need a car that maneuvers well and parks easily but also comes with more equipment--and a more upscale feel, overall--than many other efficiency-minded small cars. Strengths of this model include quick, responsive driving feel, upscale interior look and feel, easy to maneuver, hatchback versatility and space-efficiency, and Impressive fuel economy in the TDI We look forward to seeing you soon! Please call us for more information. We are excited to offer this 2012 Volkswagen Jetta SportWagen. Outstanding fuel economy and sleek styling are two great reasons to consider this Volkswagen Jetta SportWagen. A Volkswagen with as few miles as this one is a rare find. This Jetta SportWagen TDI was gently driven and it shows. There are many vehicles on the market but if you are looking for a vehicle that will perform as good as it looks then this Volkswagen Jetta SportWagen TDI is the one! More information about the 2012 Volkswagen Jetta SportWagen: The 2012 Volkswagen Jetta Sportwagen is one of relatively few wagon models that make an attempt to be rugged or SUV-like. That means it drives every bit like a Jetta Sedan, and has easier loading and a lower cargo floor than any crossover alternative. The Sportwagen also stands out for its superb ride quality as well as nice handling and maneuverability--with a turning radius of 35.8 feet. That's all in addition to what truly makes this model special in the market: With the available TDI diesel engine, the Jetta Sportwagen can accelerate strongly, yet gets up to 42 mpg on the highway, without hybrid technology. This model sets itself apart with refined interior, responsive handling, good maneuverability, comfortable seating and ride, High-mpg TDI engine, loading ease compared to utility vehicles, and versatile interior layout We look forward to seeing you soon! Please call us for more information. We are excited to offer this 2016 Volkswagen Beetle Coupe. This vehicle was engineered to be both economically and with exceptional fuel efficiency. There is no reason why you shouldn't buy this Volkswagen Beetle Coupe 1.8T Classic. It is incomparable for the price and quality. Just what you've been looking for. With quality in mind, this vehicle is the perfect addition to take home. More information about the 2016 Volkswagen Beetle Coupe: With an aggressive design, spacious interior, and two refined, efficient engines, the 2016 Volkswagen Beetle offers a fresh alternative for buyers shopping around for a cool compact. With regards to features, performance and price, the Beetle holds its own against the likes of the MINI Cooper and FIAT 500, with a lower price than the MINI and more practical interior than the FIAT. This model sets itself apart with practical and spacious interior, convertible available, sporty turbo performance, Aggressive styling, and plenty of in-cabin entertainment options We look forward to seeing you soon! Please call us for more information. We are excited to offer this 2013 Volkswagen Jetta Sedan. Everyone hates the gas pump. Skip a few gas stations with this super fuel efficient VolkswagenJetta Sedan. A Volkswagen with as few miles as this one is a rare find. This Jetta Sedan TDI w/Premium was gently driven and it shows. This is the one. Just what you've been looking for. More information about the 2013 Volkswagen Jetta Sedan: In 2011, Volkswagen revised the Jetta's packaging to better compete with the Honda Civic, Mazda3 and Toyota Corolla. Previously, price kept it just out of reach of potential buyers of the competition, but with an attractive redesign, Volkswagen also reconsidered options packaging and the Jetta's price level. They've done so again for 2013 and now buyers can get a premium German sedan at an entry-level price, with fit and finish similar to that on cars that cost two and three times as much. Strengths of this model include fuel economy on TDI hybrid models, Affordability, excellent fit and finish, and good handling and braking We look forward to seeing you soon! Please call us for more information. We are excited to offer this 2014 Volkswagen Jetta Sedan. The Volkswagen Jetta Sedan TDI is economically and environmentally smart. Volkswagen clearly delivers on its promise to provide a fuel-efficient vehicle that has the great qualities you need in a vehicle. Low, low mileage coupled with an exacting maintenance program make this vehicle a rare find. Beautiful color combination with Tornado Red exterior over Titan Black interior making this the one to own! More information about the 2014 Volkswagen Jetta Sedan: The 2014 Jetta competes with the Honda Civic, Mazda3 and Toyota Corolla. Previously, price kept it just out of reach of potential buyers of the competition, but since 2011, Volkswagen has worked to give buyers the best of all worlds-- carefully packaging features and tweaking the Jetta's price level. This means that buyers can get a premium German sedan or wagon at an entry-level price, with fit and finish similar to that on cars that cost two and three times as much. Interesting features of this model are Affordability, fuel economy on TDI hybrid models, good handling and braking, excellent fit and finish, and available in two body styles. We look forward to seeing you soon! Please call us for more information. We are excited to offer this 2013 Volkswagen Jetta SportWagen. This 2013 Volkswagen Jetta SportWagen has great acceleration and wonderful styling without sacrificing exceptional fuel economy. The Jetta SportWagen TDI is well maintained and has just 40,183mi. This low amount of miles makes this vehicle incomparable to the competition. You can finally stop searching... You've found the one you've been looking for. More information about the 2013 Volkswagen Jetta SportWagen: The 2013 Volkswagen Jetta Sportwagen is one of relatively few wagon models that make an attempt to be rugged or SUV-like. That means it drives every bit like a Jetta Sedan, and has easier loading and a lower cargo floor than any crossover alternative. The Sportwagen also stands out for its superb ride quality as well as nice handling and maneuverability--with a turning radius of 35.8 feet. That's all in addition to what truly makes this model special in the market: With the available TDI diesel engine, the Jetta Sportwagen can accelerate strongly, yet gets up to 42 mpg on the highway, without hybrid technology. This model sets itself apart with versatile interior layout, responsive handling, good maneuverability, loading ease compared to utility vehicles, High-mpg TDI engine, refined interior, and comfortable seating and ride We look forward to seeing you soon! Please call us for more information. We are excited to offer this 2015 Volkswagen Jetta Sedan. Outstanding fuel economy and sleek styling are two great reasons to consider this Volkswagen Jetta Sedan. Low, low mileage coupled with an exacting maintenance program make this vehicle a rare find. The Volkswagen Jetta Sedan 2.0L TDI SE w/Connectivity will provide you with everything you have always wanted in a car -- Quality, Reliability, and Character. More information about the 2015 Volkswagen Jetta Sedan: The 2015 Jetta competes with the Honda Civic, Mazda3 and Toyota Corolla. Previously, price kept it just out of reach of potential buyers of the competition, but since 2011, Volkswagen has worked to give buyers the best of all worlds -- carefully packaging features and tweaking the Jetta's price level. This means that buyers can get a premium German sedan or wagon at an entry-level price, with fit and finish similar to that on cars that cost two and three times as much. Interesting features of this model are fuel economy on TDI and Hybrid models, good handling and braking, Affordability, terrific trunk space, and excellent fit and finish We look forward to seeing you soon! Please call us for more information. We are excited to offer this 2016 Volkswagen Jetta Sedan. This Volkswagen includes: 2-TONE BLACK/CERAMIQUE, V-TEX LEATHERETTE SEAT TRIM Premium Synthetic Seats LIGHTING PACKAGE Daytime Running Lights HID headlights Headlights-Auto-Leveling BLACK UNI ROADSIDE ASSISTANCE KIT CHROME EXHAUST TIPS (PIO) RUBBER MAT KIT Floor Mats *Note - For third party subscriptions or services, please contact the dealer for more information. * When you purchase a vehicle with the CARFAX Buyback Guarantee, you're getting what you paid for. This vehicle was engineered to be both economically and with exceptional fuel efficiency. A Volkswagen with as few miles as this one is a rare find. This Jetta Sedan 1.8T Sport was gently driven and it shows. More information about the 2016 Volkswagen Jetta Sedan: The 2016 Jetta competes with the Honda Civic, Mazda3 and Toyota Corolla. Previously, price kept it just out of reach of potential buyers of the competition, but Volkswagen has worked to give buyers the best of all worlds, carefully packaging features and tweaking the Jetta's price level. Volkswagen wants buyers to feel they can get a premium German sedan or wagon at a friendly price, with fit and finish similar to that on cars that cost two and three times as much. Interesting features of this model are good handling and braking, terrific trunk space, excellent fit and finish, fuel economy on Hybrid models, and Affordability We look forward to seeing you soon! Please call us for more information.